Teaching a child how to defend themselves involves much more than having them just learn physical skills such as punching, kicking, and grappling. Those things are actually the easy part. What the kids need most is having the confidence and self-esteem to stand up for themselves before things even get physical. 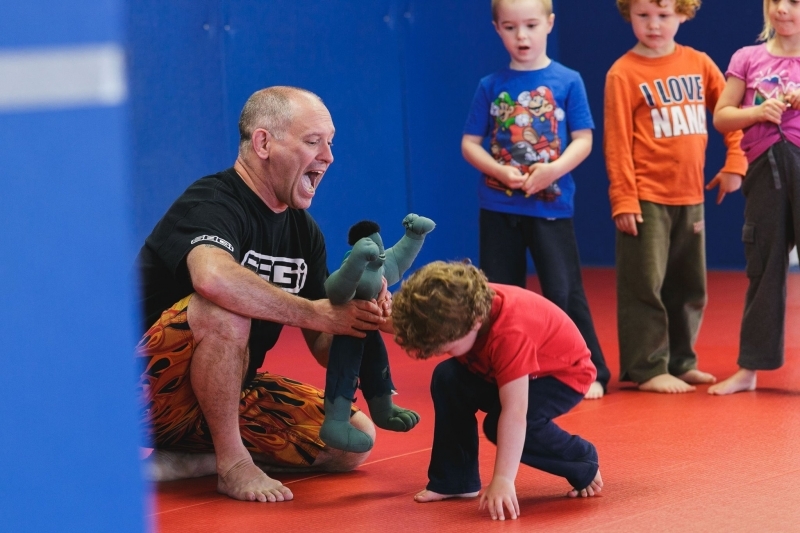 At SBG Niagara, we excel in building kids confidence through the "Life Skills" system we use from our "Growing Gorillas Martial Arts and Life Skills Program". Everything from our daily "mat chats", monthly Life Skills Success Worksheets, and more are designed to do one thing - teach our SBG Kids how to believe in themselves. I tell the kids all the time, that it doesn't matter if I believe in them, or their parents believe in them, THEY have to believe in themselves. Over the course of the last few months, I have been doing something at the start of every class that has really made a difference in boosting the kids self-esteem and confidence. After the kids do roll call, where they announce their name and that they are here, I go back down the line and ask them each to "tell me one thing that makes you an amazing and awesome human being". When I first started this, a lot of the kids would just shrug their shoulders like they didn't know, so I would tell them something I thought made them amazing. Fast forward a few weeks into it, and the kids started answering themselves. The answers were great, from "creative", "responsible", "different" and lots of others, but what was even better than their answers was seeing just how proud they were of themselves when they said it. As time as went on, myself, and the parents, have seen the kids confidence increase so much, and they are using it in their everyday routines. The greatest gift you can give a child is confidence and self-esteem. It is a privilege for me to be able to help so many kids gain that.